However, this is thought to be an initial safety measure – as otherwise what would be the point of having a robotic car if you couldn’t trust it to drive itself safely without a human watching over it. In the States, in Nevada, it has been suggested that one way round warning other road users of the presence of a robotic car is by giving them different colour license plates. The fact that such legislation is being drafted shows us that robotic cars are no longer a science fiction fantasy, and that they will appear on our roads at some point for sure. The pro-robotic car groups advocate their use for the following reasons. Self-driving cars will provide their passengers with valuable time to do other things while on a journey, will save fuel and reduce traffic congestion. As you take out the potential for human error, it has been estimated that the number of deaths on the road will be significantly reduced. Robotic cars will not have the potential to be distracted by conversation – either with a passenger or on a mobile phone – or to be too tired or under the influence of alcohol to drive safely. The Ford executive has predicted that there will be semi-autonomous robotic cars on the road as early as 2017. Other main manufacturers are also developing systems that allow the driver to not have to control the wheel. Every new car offers us something innovative – past inventions have included cruise control and voice activated commands. But the leader of the driverless car movement at the moment isn’t even a car manufacturer. 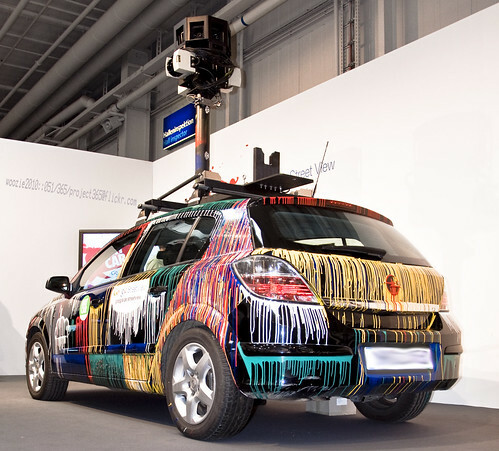 Google revealed the details on its robotic car project back in 2010 and its fleet of seven driverless vehicles which include an Audi TT and a Toyota Prius have already covered hundreds of thousands of miles in test journeys.